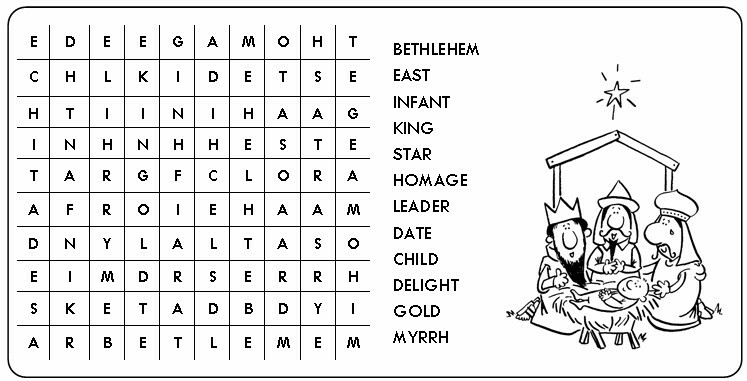 In the East, this Season of Christmas is called the ‘Time of Manifestation’, or Showing. 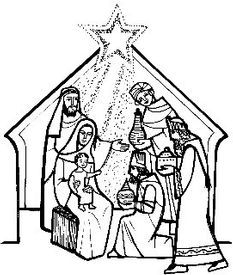 Today is the ‘Feast of the Manifestation’, or the Showing of the Saviour to the whole world, to all nations. In the wise men who travel from the East, we see all the nations other than the people of Israel being welcomed at the New Temple of the New Covenant - the new born child in the manger. A look at the Psalm response shows this: “All nations shall fall prostrate before you, O Lord.” The same is true of the key word in the second reading: “Revelation”. Remember that for the people of Israel this was to be their Messiah, come to restore their fortunes. By this feast, we proclaim God’s plan was to extend his salvation to men and women of every nation, of every time and every place - including us. In many ways this is our Christmas Feast, when we celebrate the Good News of the Saviour’s birth revealed at last to us. This is a tremendously beautiful reading, and one with great power. It is poetic, and you should see it not in terms of logic or simple meaning, but as a great picture or image in your mind. Imagine yourself to be a film director, and see in your mind’s eye the scene that Isaiah describes in his vision. First we have Jerusalem, the city of Israel, in a bright spotlight, set out against the darkness over the rest of the earth. But gradually out of that darkness is streaming a vast procession of nations and peoples, drawn to the brightness of the Saviour’s star: from every direction, a huge crowd, impossible to count, converges on the Holy City, which throbs with light as the gifts of all the earth arrive. The reading is a huge crescendo - growing greater and greater from the small light over Jerusalem to the throngs of camels and gold and incense and the song of praise of the Lord on the lips of every man and woman of the earth. This reading is so beautiful and powerful it should leave you and the congregation breathless at the end! Saint Paul is writing to the pagans, whom many considered could not receive the news of the Messiah’s birth because they were not members of the people of Israel. Paul is utterly opposed to this, because now all are included in the body of Jesus Christ, gathered together in the one Spirit. If the First Reading was a poetic exposition of the theme of the feast, this is a more theological or intellectual exposition. The words “revelation” and “mystery” are very important in this reading: the mystery, which is the secret plan of God, is the salvation of all nations, which has been revealed to Paul, and is revealed to us. Read this in the manner of one delivering an important declaration, with utter clarity and very deliberately. The first sentence is introductory, but the phrase beginning “This mystery, that has now been revealed...” is the key to the whole reading and should be delivered very carefully. Also underline in your proclamation the words “...parts of the same body...” and later the words “...same promise...” since these are at the heart of what Paul has to say. "We saw his star and have come to do the king homage." In memory of the wise men entering the house where Jesus was, there is an ancient tradition of praying for blessings on our homes on or near Epiphany. All you need are these prayers and a piece of chalk, to mark the frame of your door with the traditional initials of the wise men (Caspar, Melchior, Balthasar) and this year’s date. Perhaps spend a moment this Sunday asking God to bless your home and to be with all members of your household. Head of Household: "Peace be to this house and to all who dwell here, in the name of the Lord. Reader: In the beginning was the Word and the Word was with God, and the Word was God. He was in the beginning with God. All things came to be through him, and without him nothing came to be. And the Word became flesh and dwelt among us, and we saw his glory, the glory as of the Father's only Son, full of grace and truth. Each letter could be written by a different family member.